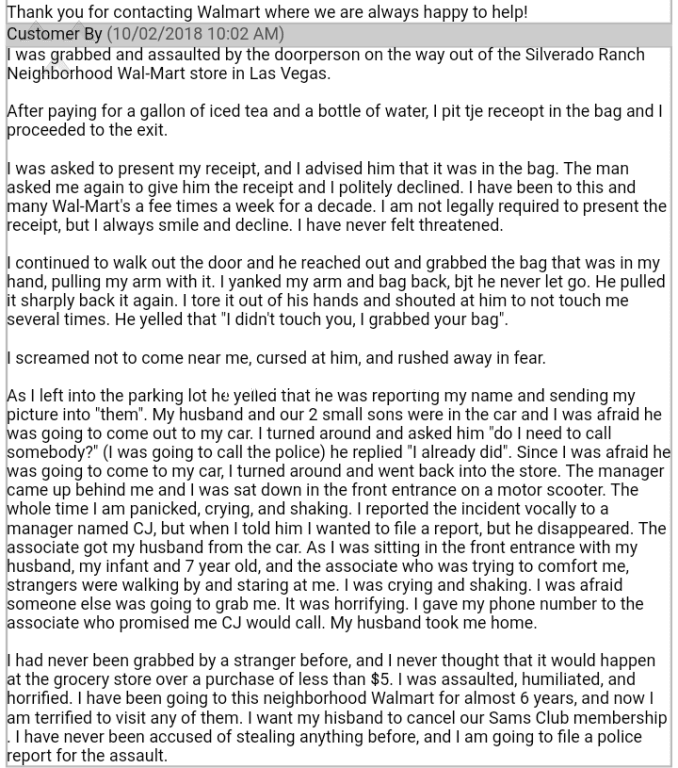 I politely declined to show receipt, and was grabbed and yanked around by a doorman. He had no reason to believe I was stealing. I have since filed a police report. Walmart is the best i think alot of people just complain to much should be 5 stars all the way!! Why is it that you send me a defective wristwatch and with rust? 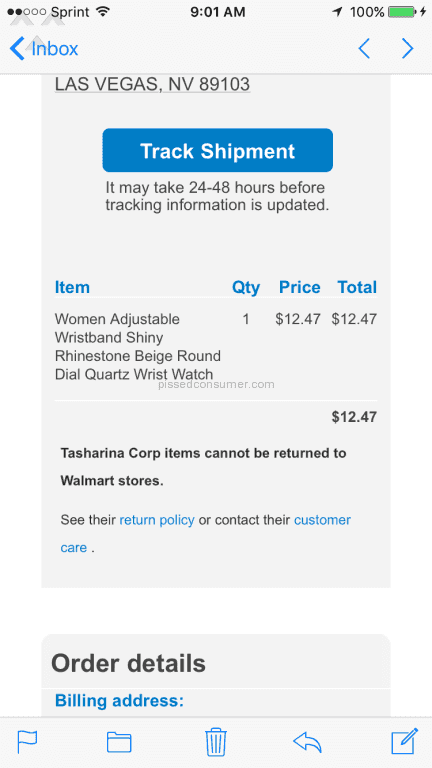 you already know that this watch was not working because it has a extra battery, you mean to say that i am the one to change the battery Attn:Tasharina Corp- pls check the quality of the product before you deliver.My rating : very poor+. very cheap quality.Walmart pls investigate this matter. Surely there is a technician in your area that can help you for a good price. Like someone that does it on the side. who is the *** that is making these changes?? walmart used to be my store of choice, no more, it is a mess, unorganized,terrible management,I had to tell the cashier to ring my cat food both times when I was there.they took away my favorite products and replaced them with these high priced items, they had better get someone that has a brain to make the correct changes,not these frantic futile attempts that are just making the store a bigger mess, I used to buy all my paint there, I can't even get waited on. 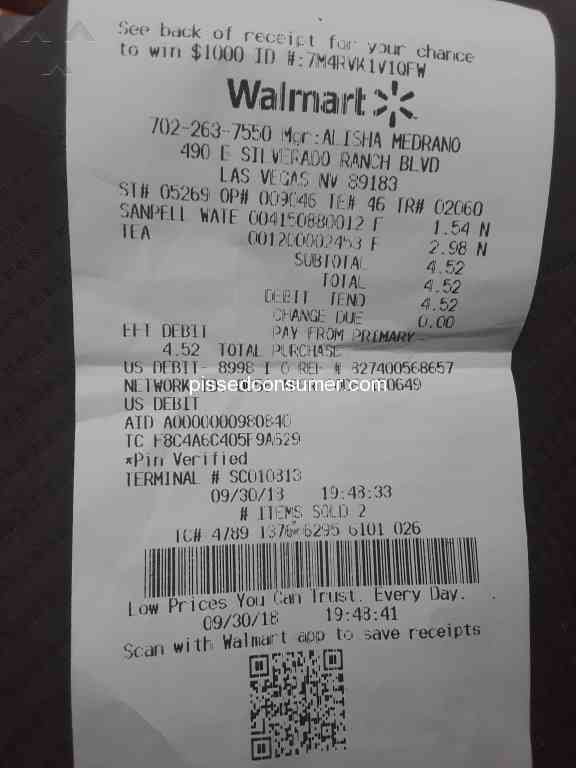 I am doing more shopping at smiths and home depot now, walmart is not rated well anymore for me.